Petersburg, VA, USA, Jun 05, 2015: Caldwell Photographic Inc. and Metabones® are pleased to announce the Speed Booster XL 0.64x, a new Micro-4/3 mount Speed Booster® adapter designed exclusively for the Panasonic GH4 and other selected Micro Four Thirds cameras, with a magnification of 0.64x. The Speed Booster XL 0.64x uses an advanced 6-element optical design to achieve extraordinary optical performance at apertures up to an incredible f/0.80, a new record for Micro Four Thirds format. Perhaps most exciting of all, in addition to increasing lens speed and field of view, the Speed Booster XL 0.64x offers amazingly high image quality even at extremely large apertures. 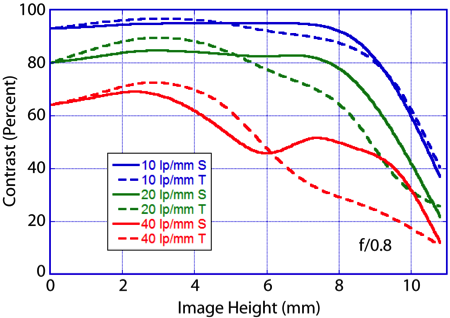 Figures 2 through 4 below show MTF at 10, 20, and 40 lp/mm as a function of image height for output apertures of f/0.8, f/1.1, and f/1.81. At f/0.80 (i.e., with an f/1.2 master lens) the sharpness and contrast are extraordinary out to an image height of 8.7 mm, which is the limiting image height in the GH4’s Cinema 4k video mode. Beyond 8.7 mm the performance drops gracefully, but remains very good even in the extreme corner of the full Micro Four Thirds format. 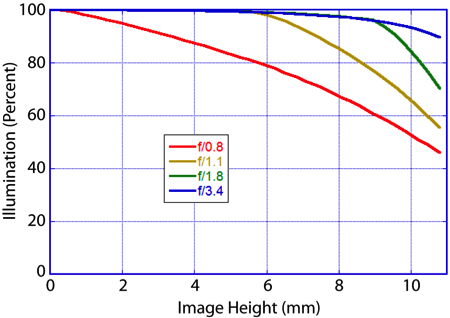 Note that as the master lens aperture is reduced to f/1.8 and then f/2.8 (corresponding to output apertures of f/1.1 and f/1.8, respectively) the performance improves everywhere, especially in the extreme corners. And other aspects of optical performance haven’t been sacrificed in order to obtain high MTF, either. 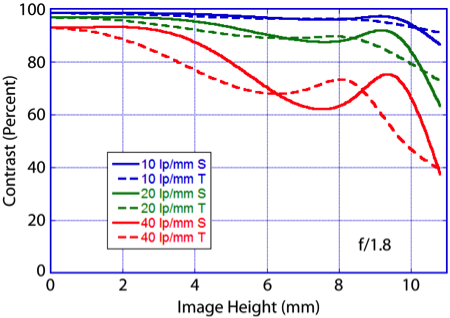 Figure 5 shows that there is only about 1 stop of corner illumination falloff even at f/0.8. There is no vignetting at all after the output aperture reaches f/3.42. Figure 6 shows that rectilinear distortion added by the Speed Booster XL 0.64x is negligible at less than 0.8%. Like all Metabones Speed Boosters, the Speed Booster XL 0.64x is optimized to fully account for the camera’s filter stack located near the sensor surface4. This is especially critical at the extremely large apertures made possible by Speed Booster technology. As a result of this careful optimization, an enormous range of full-frame optics, ranging from vintage film lenses to the latest digital designs, will function flawlessly when adapted to compatible Micro Four Thirds camera bodies. In fact, most lenses will have significantly improved MTF when used with the Speed Booster, compared to using them with a plain (i.e. “glassless”) adapter on Micro Four Thirds cameras. Planned lens mounts for the Speed Booster XL 0.64x include an active Canon-EF version and a Nikon F/G version with the most advanced Nikon G aperture adjustment mechanism in the industry. The Speed Booster XL 0.64x will be available starting in June 2015 from the Metabones website and its worldwide dealer network for US $649. (Canon EF mount) and US $479. (Nikon F/G mount), plus shipping and applicable taxes and duties. Lens Compatibility: Any full-frame (36 mm x 24 mm format) lens with the appropriate mount can be used. 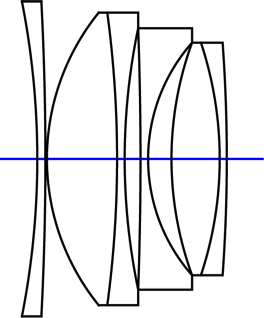 DX format lenses can be mounted but may result in vignetting when the full Micro Four Thirds format is used, depending on the lens. DX lenses are fully supported when used on the Panasonic GH4 in Cinema 4k mode, and will function without abnormal vignetting. Canon EF-S lenses are not supported, but third-party EF-mount APS-C lenses can be mounted and will have full electronic functionality. Special Features: Long-throw clickless aperture ring on Nikon F/G version; IS support and in- camera aperture selection with Canon EF version. MTF data is a full diffraction-based calculation that assumes the Speed Booster GH-4k is attached to a perfect master lens having an exit pupil distance of 100mm. 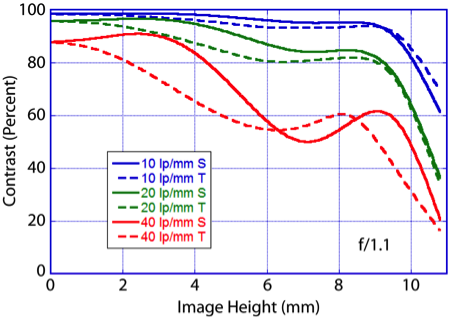 Note that the MTF calculations do not take into account sensor-induced apodization effects, sometimes called “pixel vignetting” or “pixel shading”, so actual results at large apertures are likely to be better than the calculations indicate. Illumination data assumes a perfect master lens with an exit pupil distance of 100mm and zero vignetting. The slight falloff shown at f/3.4 is due to cos4 effects alone, as the mechanical vignetting is zero. 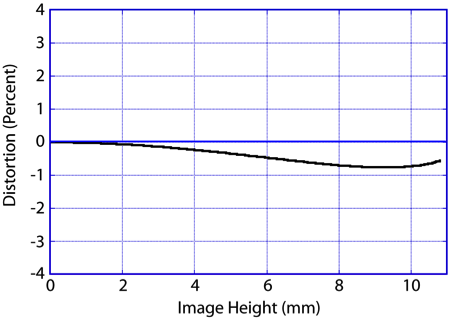 Actual results will depend on the exit pupil distance and vignetting characteristics of the master lens used. The gap between the Olympus E-M5II shutter cover and the rear surface of the Speed Booster XL 0.64x is very small. No interference was measured with a test camera, but there is a possibility that a small interference could occur depending on the tolerance buildup in a particular camera/Speed Booster combination. Accordingly, Metabones cannot guarantee compatibility of the Speed Booster XL 0.64x with the Olympus E-M5II. 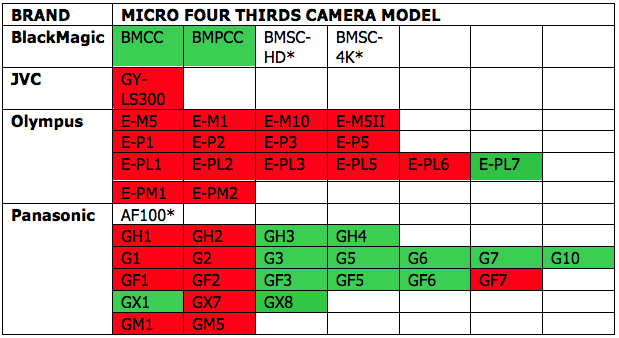 Standard Micro Four Thirds cameras like the Panasonic GH4 have a total of approximately 4mm thickness of filter glass near the sensor, and the Speed Booster XL 0.64x is designed to work optimally with this thickness of glass. The Blackmagic Cinema Camera and Pocket Cinema Camera have substantially thinner total filter glass thickness, which may cause noticeable aberrations when the Speed Booster XL 0.64x is used on Blackmagic cameras at large apertures. For best results on Blackmagic cameras it is recommended that the appropriate Blackmagic-specific Speed Boosters be used.